Bitcoin is a globally recognized decentralized payment system. When making payments, transfers from an aggregation of computers via the Internet are handled using a special peer-to-peer application which is also known as a computer-to-computer connection. Unlike traditional banking or payment transactions, no central clearinghouse is required while trading bitcoin. How exactly Bitcoin was created is still a mystery. Nobody really knows who invented Bitcoin. It is believed that the concept was devised by a programmer named Satoshi Nakamoto, who wanted to create a means of payment that is detached and independent of states and banks. Whether Sathoshi represents a single person or a grouping is also not known. How many Bitcoin is there? There is a maximum of Bitcoin. This limit is set at 21 million. This limit has been introduced to ensure that the cryptocurrency can’t be duplicated unchecked. Of course, this limit also has a direct impact on the Bitcoin course. Currently not all Bitcoin created have been uncovered. This process is called mining. What is mining and does it affect the Bitcoin course? Mining is the so-called generating process of bitcoins. The higher the specific processing power, the higher the chances of being rewarded with Bitcoin or the associated transaction fees. The focus of the computing power is not on the CPU but in the most common methods on the graphics card GPU. The GPUs are therefore better aligned with the complex computational processes of Bitcoin and other cryptocurrencies. 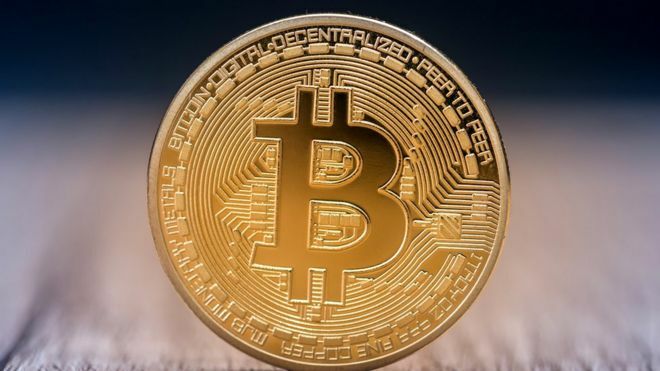 With normal commercial home computers, however, the computational burden is not worthwhile, since the electricity costs are now higher than the yield of Bitcoin is ultimately worth. Therefore, to effectively operate bitcoin mining, specialized computers are needed that are particularly fast in computing these complicated mathematical formulas. Therefore, the so-called ASCII computers are of course also correspondingly expensive and must be additionally constantly upgraded by the ever-increasing computing requirements. If you still want to participate in Bitcoin mining with your home computer, you can now join well-organized mining pools. The computing power is brought into the cloud, which in combination generates a very high computing power. This is called in the scene of Cloud Mining. Does the mining affect the Bitcoin course? Of course, the mining also has its impact on the current Bitcoin course. The more Bitcoin found and in circulation, the less available. This can be positive for the course as well as negative. If you want to use Bitcoins, you must first set up an account called Bitcoin Wallet on your computer or mobile phone. The wallet software manages your Bitcoin addresses, through which you can send or receive bitcoins. So, these are some important information about the bitcoin you should know before start trading. Previous postBitcoin: How to trade Cryptocurrency? Next postWhat happens to digital currencies after death?